Home / Stories / Latest News / Los Angeles Pet Super Adoption is almost here! Los Angeles Pet Super Adoption is almost here! What could be more endearing than a white cat with bright eyes - one blue, the other green? His name is Bowie, and he"s not only strikingly handsome, but he"s also friendly toward people and other cats. Bowie is one of the 1,000 dogs and cats from shelters and rescue groups hoping to find homes at this weekend"s two-day Los Angeles Super Adoption, May 21-22, at La Brea Tar Pits Park. Bowie has a best buddy named Baxter who is available, too. "If anyone wants an energetic pair, he and Baxter get along great," says Destiny Haney, a Community Animal Assistance specialist for Best Friends Los Angeles Programs. 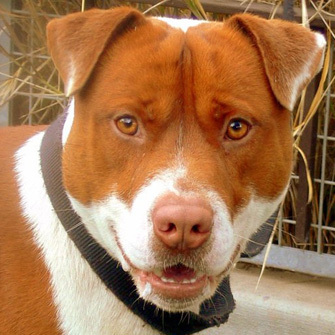 Rusty, a mixed-breed dog, is another head-turner available for adoption. He was at an earlier adoption event but hasn"t yet found his forever home. Purebreds, mixed breeds, small dogs, large dogs, playful kittens, cool cats and everything in between will be showcased in hopes they, too, will go home. With record numbers of adoptable dogs and cats, this is set to be the biggest Super Pet Adoption ever. And it"s all for the animals, with the goal of bringing about a day when there are No More Homeless Pets. As one volunteer, who"ll be helping out for the first time, summed it up: "I"ll be there, and I can"t wait." Join us for the Los Angeles Pet Super Adoption click here for details! Click here for a downloadable flyer to share with your friends, family and colleagues.